It is finally out! The third compilation album, which consists solely of singles previously unknown to me, by the bands that I’ve come to respect greatly. For the past few years I’ve been so fixated on albums, that I’ve completely missed out all the singles. And there are some truly wonderful ones, by the bands that I’d already come to respect greatly. Compiling this list took me lots of time, but I couldn’t be more satisfied with the result. 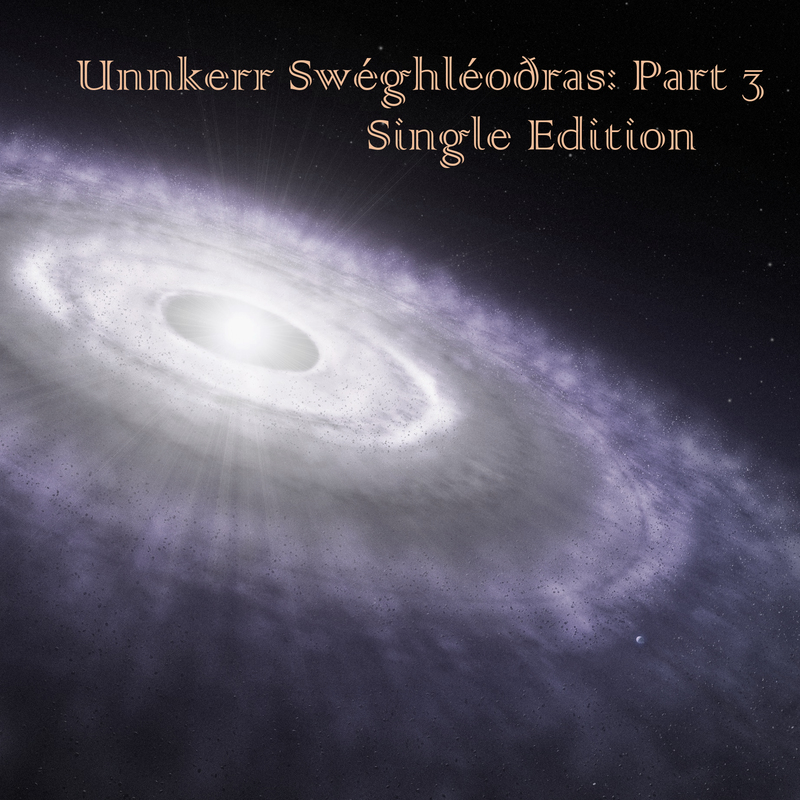 Unnkerr Swéghléoðras: Part 3 — Single Edition turned into something wonderful. The Who is a band who had tons of singles in the beginning of their carreer, and good ones too. Circles (Instant Party) / Pictures of Lily (B-side Doctor, Doctor, compare it to Beatles‘ Help! in my previous blog post) / the obscure jazzy Waltz for a Pig (I wouldn’t believe it was The Who if I didn’t know) just to mention a few. Only later would they shift towards more proggy creations. For this compilation I’ve picked I Can’t Explain, their first charting single, and second overall. David Bowie also covered this song on his album Pin Ups. Zombies were completely a sixties band, so it’s no wonder they had lots of singles, as LP releases weren’t too frequent yet. Most of their singles weren’t too good though, but you just can’t go without digging Colin Blunstone‘s voice as well as Rod Argent‘s sweet keyboard play. This Just Out Of Reach single wasn’t too successful at the time, but I found it to be their one of their best non-album singles for sure—and it fit the mood of this compilation perfectly. The B-side, Remember You, is also a very pleasant experience. As you might know, in two years between their 2nd and 3rd albums UFO changed their style from spacey, underground garage rock (which I liked more) to mainstream-oriented hard rock (which I liked less). In the meantime they however released a single, which still features their old guitarist Mick Bolton before he left the group in January 1972. That single was Galactic Love. The B-side features a shortened song from their 1971 Live album — Loving Cup. 04) The Doors — Who Scared You? Who Scared You? is the only track by The Doors sung by Jim Morrison that wasn’t included on any album. It was released in 1969 as a B-side to the Wishful Sinful single. There are other two non-LP singles by The Doors: (You Need Meat) Don’t Go No Further with the pianist Ray Manzarek on vocals, and Tree Trunk, which was recorded by the post-Morrison Doors. Julia Dream is the B-side to the 1968 single It Would Be So Nice. Pink Floyd had a total of four non-album singles released before Syd Barrett had to leave the band. Some of them were later released on a 1971 compilation album Relics, with Julia Dream being the 6th track of the album. All of the singles were magnificent, and this one was a very tough choice to make. Originally, I wanted to pick a track written by Syd Barrett, such as Candy and The Current Bun, See Emily Play or Apples and Oranges, but it turned out I already knew most of those, and I also found myself captivated by this Waters‘ tune. Additionally, it appears that this song was first one to be sung by David Gilmour, who was already backing up the mentally unstable Barrett at the time. Gilmour performed the guitars for Julia Dream as well. Therefore, ironically, no credit goes to Barrett in this song. 06) Jefferson Airplane — Have You Seen The Saucers? A live version of this tune by Jefferson Airplane is featured on their 1973 live album Thirty Seconds Over Winterland, however they had also released a studio take on the B-side of the Mexico single in 1970. All other JA singles were featured on their studio albums, but right after this particular one was recorded, the drummer Spencer Dryden left the band, followed up by the vocalist Marty Balin. The studio version of Have You Seen The Saucers? was later included on the 1974 compilation album Early Flight. This track might not be available through Youtube in your country — if that’s the case, I suggest you use a proxy or a VPN. This way you will certainly be able to hear it, and all other songs in the playlist as well! CSNY didn’t release any other non-album singles than Ohio (1970) with Find The Cost Of Freedom as its B-side. Both were later included on their 1974 compilation album So Far. With Ohio being a well known CSNY hit, this left me with no other choice but Find The Cost Of Freedom, which was a great moody track and more than enough for my purposes. This Please Let Me Love You single B-side by the early incarnation of The Byrds would be later rerecorded and released on their second album with the song title changed to It Won’t Be Wrong. I like this version best, however, mostly due to the heavy drums that make the right impact. They released no other singles under the name of The Beefeaters. The reason for changing the name was probably this other Danish band, who also called themselves The Beefeaters and released two albums in the 60s. A short probe listen showed they might be pretty nice — going to check them out later. I was already aware of some singles by Deep Purple, such as Emmaretta. But this one was even better! I’m Alone came as a B-side to Strange Kind Of Woman. This track definitely has a Fireballish feel about it, so I can see why it was included as a bonus track on the 25th Anniversary Edition of that album. Led Zeppelin had only released one non-LP song, that is Hey, Hey, What Can I Do. It appeared on the backside of the Immigrant Song single in 1970. In 1972, it was released on The New Age Of Atlantic compilation LP, which featured different artists (including the first ever issue of America by Yes). Otherwise this song was unheard of until it was later included as the last track of the compilation album Coda in the 1993 CD release. Yes don’t have many non-album releases. In fact, they only have one song that can’t be heard on any of their albums: Something’s Coming. This lovely progressive song was released on the B-side of the Sweetness single. It turns out Jimi had a couple of B-sides that weren’t present on his albums: Stone Free, 51st Anniversary and The Stars That Play with Laughing Sam’s Dice just to mention a few. And of course, Highway Chile, the B-side to The Wind Cries Mary single. As always, his guitar work is amazing. In addition to this, I have learned that Jimi played backing guitars with quite a few bands in the sixties, such as Curtis Knight & The Squires, The Icemen, one single together with Little Richard, and even lead guitars on Stephen Still‘s eponymous solo album track Old Times Good Times (from Crosby, Stills, Nash & Young). The point being, there’s more to Jimi than his Experience alone. Jethro Tull have some occasional non-LP tracks spread along the years. The ones released before ’88 are now part of the 20 Years Of Jethro Tull box set. This track in particular served as the backside for their second single, A Song For Jeffrey. One for Jeffrey, One For John Lee. A jolly little flute instrumental. A B-side to I’ll Be Creeping, this Free instrumental in 3/4 time beat is pretty mesmerising. For people who play music, the structure of this track might be of some interest. At least I find that it has deepened my understanding of what you can do with a beat like this. This is the sole reason why I have chosen this instrumental over other non-album songs with lyrics in them, such as The Worm, which was the second strong candidate for this compilation. Surprisingly, Emerson, Lake & Palmer also had one B-side instrumental that doesn’t appear on any of their albums. A valentine song without words is just what I needed. Because who needs words when you’ve got such a nice arrangement? The title, too, is nothing else but loveable. Another early incarnation of a famous band, The Golliwogs would later grow into Creedence Clearwater Revival. They had a big pile of singles, but few of them resemble the sound CCR would later develop. The only exceptions were the somewhat poppish tune called Brown-Eyed Girl, which was the only song that was to receive any kind of success, and the melancholic Walking On The Water. Similarly to The Beefeaters, this tune would also be re-recorded and released on their first eponymous album. This time I love both versions equally, and it is the combination of the slightly electronic sound of the mellotron with distant sounding guitar riffs that I find to work best in this Golliwogs‘ version. Sometimes I feel like each Atomic Rooster song sounds the same—but it doesn’t make it any worse. It is like they’re performing one long song, slowly coming up with new additions to it. In this B-side to Tomorrow Night I can clearly hear some of the familiar passages, which are just as grandiose as they have always been. As far as I know, this is the only non-album track Uriah Heep had (B-side to Stealin’). They had a huge amount of outtakes from their albums though. If you ask me, this might be the weakest song in the compilation, but I just couldn’t let it go. And for some odd reason, this song gets better each time I hear it. If you are a Uriah Heep fan, do also check out the single from their ancestors before the time with Ken Hensley — The Spice: What About The Music / In Love . They also have an unfinished album, the tracks from which can be heard on The Lansdowne Tapes. 19) Cream — Wrapping Paper. This song was the A-side on the first ever Cream single, a happy-go-lucky tune. If you’re feeling silly, also have a look on their Anyone For Tennis video footage which was made for The Savage Seven film (1968). That is their second and last non-LP recording, released as a single. That’s all for this Single Edition! Hope you enjoyed it!